I walk into the classroom for the first time. The teacher and I, excitedly, have been planning to focus on data management. I suggested Google Sheets at our planning meeting as a way for students to focus on the types of charts/graphs they can create with simple data collection. Sheets will pump out a graph quickly, rather than students drawing their own. The benefit of this speed is so that students can create multiple graphs and charts, and be able to discuss and determine which graph is better at giving information that another, and why this might be so. The teacher agreed, and so we set the dates to co-teach the lesson. It was Hallowe’en, so the class was excited. I walked in with 100% energy and began the lesson. The teacher supported by asking me and students’ questions and played with the program as I worked with students so they could become more comfortable with Google Sheets. The room was loud as students stacked cups, built linking cube towers, or did jumping jacks. I gave simple data input instructions, told them how to find a timer on the internet, and I let them go. Students started immediately, the engagement was palpable in the room. The kids ran the show. Some had time to create a few different graphs, and I lead conversations around what graphs were more effective (and, first, with a few groups, what an effective graph meant), and why. We managed to share our graphs in a shared slide. We had a quick whole group summation of our data — hey! Data collection can be more than me walking around the class asking questions. It can be helpful when we have chosen an effective graph because the reader can interpret our data quickly and efficiently. Sharing our graphs/charts and determining why graphs are important; and which ones are more effective for our purposes. And, since I support 19 schools, I wouldn’t be back for a month. Sure, I emailed the teacher all of our work and gave them a chance to ask any follow-up questions as needed. Consider ways to make the curriculum come alive creatively? Continue to use a piece of technology meaningfully and with purpose? The first response to this is to collect tangible data. In this case, when I am completing a cycle of schools, I send out a survey to collect data from teachers. This is dependant on if teachers fill out the survey, and I always wonder if they are being completely honest. I think many fill it out to be kind, which doesn’t give me a sense of how my time with them will be beneficial in the future. Another tangible piece is total bookings. If I am booked a lot, in theory, I am reaching more teachers, and assisting in curriculum and innovative connections. I have some of this data — it is quantative, but is it really showing what is going on in the daily use of instructional practices by the teacher? How do I, without a doubt, know that my time with that teacher has contributed to long-lasting educational change? Are teachers really thinking about their practice after I work with them? Or am I stand alone show? Sure, metrics can show some data, but does this tell me if I have really created long-lasting, sustainable change? I also wonder about the students: Sure, a teacher may not have had sustainably changed practice after co-planning and teaching with me. But, perhaps, a student took the tool that was used and is now using it for another purpose. 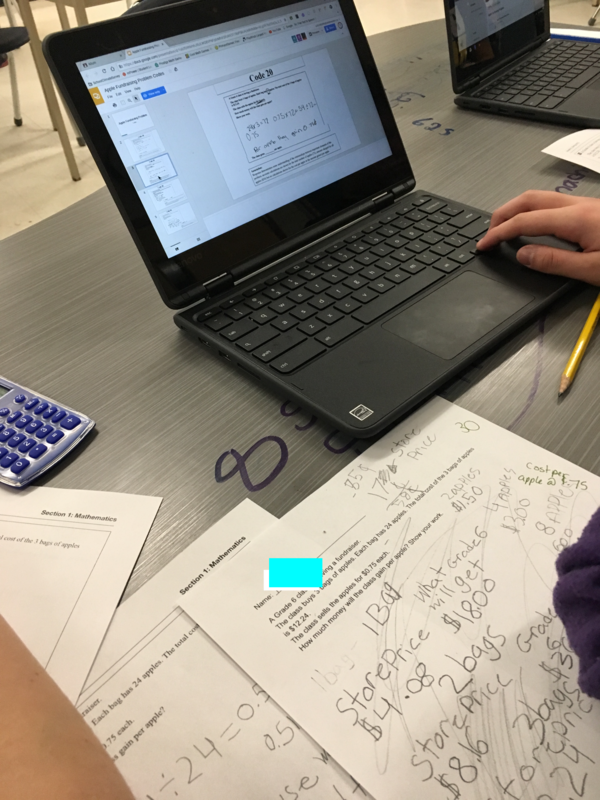 Perhaps when another math task comes up, they will open up Google Sheets, for example, if they feel it is the tool for them. How do I measure student success — because maybe the student is the one taking leadership, and encouraging other students (and teachers) to use a particular tool, or try a certain task. Perhaps it is in the next steps. For this particular example, maybe the change isn’t happening yet. It will come when I check in with that teacher the next time I arrive, and have a face-to-face conversation. Or, theywill book me for a second round of co-planning and teaching, this time wanting to explore at different angle of math, or a different tool that can bring, perhaps, student reflection about their math (the first tool assisted the students completing the math task, the next step might be for a tool to help students speak to their understanding). Teachers, this is a great chance for you to let me know: What do you hope your Coach does with you? How do you know that your Coach has been effective? How do you like to be approached? Feel free to continue to talk with me here, or on Twitter (@heidi_allum). How many other blogs have you seen with that title? Thinking, and, let’s be honest — stressing. Am I going to be enough this year? What should my focus be, and why? Where should I put my emotional and intellectual energies? All of these questions swirl around my mind like paper caught in a dust storm. I spend my summer trying desperately to grab hold of one. This almost never happens. Generally, I let my fingers skim each floating idea, never settling on one for fear another could be more important. To add to this state of “hmmm”, I am starting a new role this year. I believe that educators should change when the opportunity arises. I also think they should change when they don’t think they are ready. Actually, this is not educator specific: Change happens. However, if you are like me (which I assume many of you are), change is not your strong suit. Sure, I can smile during change, press on through change — but deep down I am constantly wondering if the change is doing any overall good. Is anyone benefiting from the change? Is the change moving anything or anyone forward? Essentially, change makes you the newbie. And hanging out in newbie status is always super hard. Because you are going to fail, and people will see you fail. I don’t think I truly innately have a growth mindset. I think in terms of all the mistakes I will make in my new role, and yes, I will learn from them and grow from them, but before that happens I beat myself up about them, stress on them, and replay them over and over. My first plan is to, rather than harp on a mistake, sit with it, take responsibility for it, and move on from it. Change is always a process. This is the title of my new role. I am honestly not 100% sure of what that role means, but I know I am excited at the prospect of learning, and learning with others. The first word in the title is educational, after all. Listening to teachers – what are they seeing? Doing? Wondering? What/How can I help that will be most beneficial? Connecting – making the curriculum come alive for teachers, and help them continue to make it engaging for students. Collaborating – with teachers and students; how can we use technology to make education more fluid and dynamic? Access experts? Share our ideas? Have students share their ideas with each other/teachers to gain immediate feedback? Focusing on the Global Competencies and making them come alive for teachers and students. If a teacher isn’t sure of what is next, what questions can I ask to help teachers discover what is next for them? How can I create a positive attitude toward technology? How can I help teachers find thinking technology vs. skills? These are just a few to start my thinking journey. Anyone else out there been in a coaching role? What did you find most helpful? Any books, resources, etc. that you would suggest I look into to help me visualize and refine my goals for myself as a coach? I would love to hear from you. My mind is swimming with ideas and thoughts — and I believe this is all part of the process of moving into a new role. I hope to document with photos and blogs how the year is going, and discuss all of the ups and downs. At points in the year, I hope to refine my questions and goals — and see if I have measurable data to support my learning, as well as teacher and student learning. Thank you for coming on this adventure with me! Student Collaboration on Google Slides: Start Here. One of the most powerful educational tools that I have loved this year is Google Slides. Recently our Board started using Google Education Suite, and Google Classroom. I happily tried it out, and have not have looked back. I am going to go through with what worked for me and my class, and many of you may find these tips intuitive and repetitive, but I feel knowing this, or considering these, ahead of time for those who have not tried making Google Slides collaborative (or any Google Suite program) somewhat helpful. At first, it’s easy to click that little triangle and assign “make a copy for each student” — but let me try and steer you into choosing “each student can edit”. However, I can understand how this could be a scary thing. What if students ruin each other’s work? So, though some are predictable, I have created a list of the most helpful ideas in order to make Google Slides collaborative (and less work for you — looking at student work on one slide is so much faster!). Sure, at first, you may want to give a copy to each student. Let them explore the features and muck around in a low-stakes setting. One of my colleagues, Michael McClenaghan, actually had his students ‘ruin’ a slide. Tell students “I am not sure”, shrug, and walk away a lot. They may work on one slide to start, but they will inevitably start talking, asking, and helping each other solve problems. The key hear is to consolidate. Have students discuss what went well, what didn’t and what they need to know for next time. The first time I gave a shared google slide, it was a group problem that students could read together, and work on. Students could do the math in Google Drawings, and then import the photo of their work into Google Slides. Students are generally more used to working collaboratively in math — be it over a white board, chart paper, or manipulatives. Students may ‘ease’ into working on shared slide a little faster through a rich math task. Show them under file they can see version history. If everything, or things, get erased (and they will), they can restore to a previous version. This has saved many a shared slide — and once students know this, they are more willing to want to share slides without the fear of ‘their work being erased’. What should we do next time? Create a classroom norms of collaborative spaces chart — adding new information as you go (my students taught themselves how to share a slide amongst themselves – So they taught the class how. Next time I would have a working ‘chart’ or space to have definitions, directions, etc. so we students can reference as needed). Students, who are researching Canadian NGOs, created a slide, and shared with each other without instruction. They felt comfortable enough to do this and could each work on slides together, and give each other feedback (one student added links to the comments section so others could access as needed). View the slides in grid view, and comment as students work. Circulate and conference with your laptop, and comment on the slides as to what you conferenced. Add links, videos, etc. so students can access together. Teach them how to read and apply your comments, and write back to you. Comment, and comment widely (Trust me: You feel very accomplished when you write feedback on each slide). Now that my students are comfortable, not only do they respond to my feedback, they are able to give feedback to each other in a productive way. Put your learning goal/success criteria on the first slide(s). Tell students not to edit this, but use it for referral. In general, once collaborative Google Slides becomes embedded in your classroom, you will use Google Slides as a way for students to demonstrate their learning, and a place for you to give feedback in. It becomes a loop of learning and assessment. These tips also work with any of the other Google Suite programs that can become collaborative — Google Docs, Sheets, and Drawings. These only become powerful when students see the power in using them to work together. One final note: There will be problems, but they will be overcome. When you consolidate and reflect, the experience becomes even more valuable – the learning from each other’s mistakes leads to a better understanding of Google Slides, and the content itself. Give it a try! Let me know how it goes. Share any other tips – I would love to hear how you are using Google Slides (Docs, Sheets…anything collaborative!) in your classroom. Ah, probability. The fun strand. And, truly – it is fun! This strand screams play. Dice, cards, games, odds – esepcially in play off season. However, I can attest to overly simplifying probability: Guilty. I have left it until June, played a few games, and called it a day. There is nothing wrong with playing games with probability – in fact, I can’t think of anything else more engaging and enticing for students. What is missing is the rich conversation – and connections – you can make within other strands of mathematics. There are some key terms in here that may be focused on, and other parts missed. Dice, favourable outcomes, and equally likely. Skimming, a teacher may have a quick conversation about the odds of getting even vs. odd numbers, out of a total of 6 – since there are 6 sides on the dice. What may get missed is ratio – how can we turn dice rolling into a fractional conversation – and help students make these connections. Now, in this would you rather, students are going to actually think first by making an assumption before they roll any dice. I used a shared google doc to show their thinking. Then students got a chance to try it out – what should happen (theoretical) compared to what actually happened (experimental) is now defined. Students are now forced to explain why – and how- they would choose option A or B. Now it’s a great time to describe their odds in a ratio – to pull how the game leads to mathematical explanation. It’s also amazing how simplicity – rolling some dice, and letting them explore what happens, and challenging students to represent their findings – leads not only to rich conversations about probability, but dissecting why everyone had different outcomes. Another expectation that may be skimmed and glossed – some may focus on the words game, and the simple fraction (1/4). The richness comes out of this expectation is extending to what would happen if the spinner was spun 100 times – and the comparison of predicted and experimented outcomes. Probability can also become richer when you look at individual results versus group results. I used small Smarties packets and we estimated all of the Smarties we had altogether as a class. We talked about which colours we might continue to pull once we pulled out 3-4 from a single package. When would get our first ‘double’ colour, and why? What should happen with colour distribution if we opened all of the small packages? We recorded our class predicitions on one Google Sheet, and then students recorded their own findings in another. Now we have data to compare. Students recording their predicitions and outcomes of Smarties on a shared Google Sheet. Probability can also be extremely visual. This amazing visual by Sara Van Der Werf brought fantastic conversation. Using visuals in probability was not a natural link for me, but it proved to be for my students. This is a powerful visual that brought in fantastic fraction, percent, and decimal conversation around a probability framework. I love how my students ‘flipped’ the number line — it could work both ways, and therefore, was it the item that really mattered, or the concept of fractional probability of the distribution of colours? So, pull out the probability games. I am learning to make the connections with students to the deep math connections that happen through the games. There is a lot of rich, amazing math here that is worth more than just June. My next go to is to try these rich, visual probability prompts that invite wondering and conversation about the complexity of probability, and connect to other strands in mathematics. Care of Matthew Oldridge. I love how students have to define “how hard” – what would “how hard” look like fractionally? Compared to something ‘easy’ you could roll? Some great places to go here that deepen probability. How would this differ if everyone in the class pushed one of the buttons? Would that change which you pressed? Why? Now students are invited to break down the amount of money (100 million times half of the class!). Thank you to @Mathgarden for this one! What are some ways you are adding complexity and richness to your probability tasks? I would love to hear your thoughts! From Patterns to Algebra, the second that I was given the chance to explore, play, and investigate, stands at the forefront of an amazing patterning and algebra resource. Let’s start with how the first lesson revolves around playing a game: Guess My Rule. Right away this game is A) super fun, and inviting to students — all of students really loved playing it, and B) gets students to make the relationship between term number and the output — and how the two interact. (also cool is how this student used Google Draw to create the table, screenshot it, and add it to Kahoot). My students willingly played this game — and often. I added some elements by using cards- whatever you flipped up became the pattern rule — and putting the black line master in page protectors so my students could play when they were finishing other work – or for recess (yes, a lot of my students like to stay in and play math for recess). Playing Guess My Rule was fantastic, because, when we got to creating and looking at patterns, we already had some understanding of the relationship between input and output. This is another reason why this resource is so great — the patterns are visual. Everything students do with this resource is creating and analyzing visual patterns; making students see how accessible and tangible patterns can be. Students can manipulate patterns, and can play with them – and feel like anything they create can easily be added to, changed, or redirected without losing the visual representation. Students were able to make connections quickly – and talk about the patterns we were examining. Students could also identify the pattern quickly, move to graphing linear patterns, and determining the nth term. Below are some of the awesome ways we used the resource — and really, we’ve only just touched on it. Dr. Beatty and Dr. Bruce have created a place where non-intimidating patterning play can happen; and deep connections can be made. See the images below – -some have captions so you can see a little more about what we did as a class. Students used Ontario Mathies Coloured Tiles to play with, too. Students created patterns, and went around and wrote down the pattern rule. This lead to great conversation. Is there pattern reflective of their pattern rule? I laid out patterns with constants for students to guess. Students talked about the pattern, then checked the pattern rule to see if they were correct. There is a lot to be said about the problem solving model that sits at the front of the Ontario Math Curriculum. It’s common place to hear and see teachers discussing and using a model, or a similar model, in their classrooms. It seems for some, it works, or, at least, it gives a framework for teachers to assist students to work through a math problem. However, it never fully sat with me quite comfortably. First of all, I will make many non-friends writing this, but, it created zombie-like problem solvers. I witnessed many students who would be messy, take risks, and think during their math problem solving. The four step problem solving model was introduced, and suddenly, I found these creative math thinkers felt like they had to follow a path, or a formula, to solve a problem. They weren’t thinking as richly and deeply, and, in fact, were rushing to get through the steps rather than taking their time, and really questioning their math choices. The Polya Four Step Problem Solving, as seen on page 13 of the Ontario Math Curriculum. I have re-looked, re-examined, and re-thought of this model many a time. In fact, it has been the focus of math workshops and district meetings I have attended, and I not once could say that following this model in a linear manner made any of my students any better at math. Don’t get me wrong: I see it’s purpose. I have found it most helpful with students who struggle to organize their mathematical thinking, and I present it more of a way of thinking, or a framework, they might want to consider if they find they can’t focus on the math, and are getting jumbled in the process of their mathematics. I never ‘forced’ a student to use it, as I always felt that solving a math problem – or any real problem in life, really – isn’t linear. Many times we might jump to carrying out what we think is right, find it didn’t work, then go back to realize we probably didn’t quite understand. Don’t we go through processes of thinking while we are solving mathematics tasks, and also taking steps to do so? Could the two not be intertwined? A problem solving model hasn’t been re-investigated since 1945? What do students really do and think while they are solving a complex mathematical problem? Do they naturally go through ‘steps’? What processes do they consider, or act through, when solving a math problem? How do we bring a problem solving model back to the actual mathematics? In my mind, I started to visualize what I had noticed my students were doing during math. Over the months, I have been able to listen to many math conversations, and sat in on many math problem solving sessions with my students. Right away, I wanted to depict how mathematics is a flow; people move in and out of their thinking process depending on what they are working on. I feel that this is what my students do in the classroom while they are working on math. More than that, this is what I would like my students to consider as they solve a math problem. I decided to take it one step further: I asked them to consider their thinking while they were working on some math. 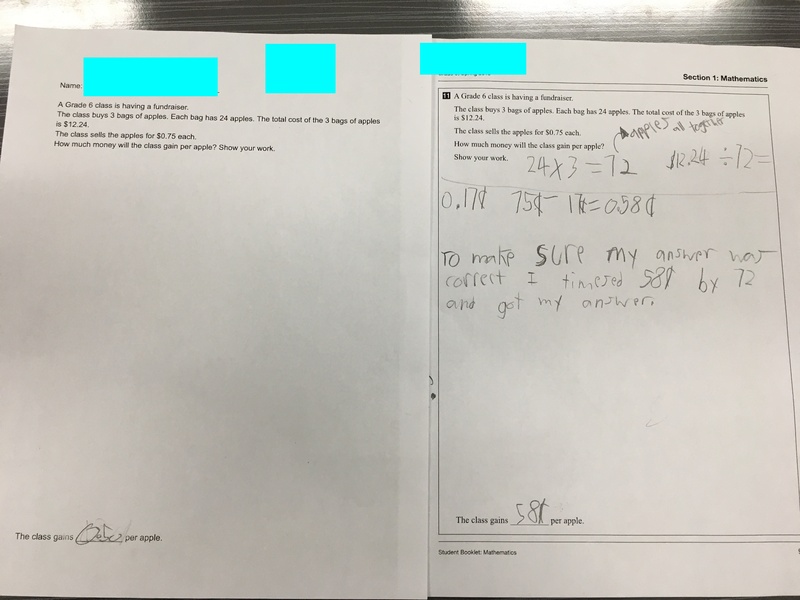 I created a Google Form, and asked students to reflect what they were thinking before, during, and after their math task. Here are some results. You can see the top two for before were noticing and wondering the math information, and choosing a tool. This was great — this means they were actively processing the problem, and selecting a tool (which is also one of the aforementioned process expectations). During the problem, students were fixing mistakes and changing their ideas. This means students were actively seeking math connections, and finding and fixing their misunderstandings. Using a tool is still high on their choice, which means that tool must help them represent their thinking. Students did reflect at the end, as the Polya Problem Solving Model states, which in the re-vamped model is embedded in the questioning themselves area — students, even at the end, are ensuring their mathematical ideas are complete. I was really excited to see my student responses, and I am going to continue to check in with them as they work through math. What do you think of my re-vamped Mathematical Thinking Flow Chart (because I am not sure what else to call it)? Would you use this in your classroom? Do you see your students doing this? I went to UBC for my undergrad, an experience that changed my life for many reasons. The biggest shift was the immense beauty of ocean meeting mountains. Never had I experienced this before, and to be thrown in and living in this beauty was something I never really became totally comfortable with. It was almost always to good for me. I grew up in Southwestern Ontario, where the Canadian Shield grounded me in safety and security in terms of natural disaster worries. Suddenly I had to learn and be prepared for tsunamis and earthquakes. It was strange and different for me, and although I loved and appreciated the beauty of B.C., I was always constantly thinking about the next possible earthquake. Would I be in B.C. when the “big one” hit? What would my reaction be? Was there really any ‘safe’ place? Perhaps silly, I had to mentally find a balance between appreciating where I, at the time, lived, and not constantly worrying – that small nagging voice in the back of my mind – of an earthquake of epic proportions. At this point in my teaching career, I am having this giant existential-like questioning about why and how I am teaching. In my mind, I am constantly not ‘doing it right’. There is always something better I could present to my students, always a question I could have asked, and always a connection that was not made. It’s like I am back living in B.C. : I love teaching. I enjoy the beauty and energy of teaching. But I am standing on a fault line where that huge earthquake could come at any moment. I am never truly comfortable. In Mathematics, I feel that this is especially true for me. As I learn more about Mathematics, as I do my best to bare my misunderstandings and misconceptions, as my personal philosophy of Math is developing (math is play! ), I know that my ideals in education are shifting. There is movement below the surface, and I just don’t know where to take this movement, and how to channel it. What I mean is this: I am a bigger picture teacher. I teach in order for students to find meaning for themselves; to develop a sense of self in this overbearing world. I want my students to be ok with not having the right answer; to not have to be perfect. I want math for them to be interwoven in their lives, to be problem solving — to be an action they take with pride and honesty. The shift is happening as I stand on the fault line of giving my students the bigger picture experience, and keeping my instruction focused and channeled. Can really doing the math create successful EQAO results? Here is where I am at, and what I mean by that question: My students will be writing EQAO this year. I am not about to discuss EQAO in itself, I am going to discuss how the act of performing EQAO is generally approached. Teachers engage students in using EQAO released questions (or EQAO like questions – focusing on application and thinking) to guide their instruction in a variety of ways, for a variety of reasons. For example, to see if their students are able to understand the problem, if they can apply a workable strategy to solving the problem (was the student able to identify that this problem required more than one mathematical ‘step’ in order to be successful? If not, what is our next step as educators?). Are students able to reason and work their way through multiple choice, and have strategies if they are not sure of their choices? Yet, my question is always this: Will I be able to let students go deeply into all the math content so that they are ready for EQAO? This is where I stand. On this fault line of giving my students a rich, immersive math experience (and, I am still working and learning this! ), and wanting them to feel like they can apply their learning in a testing setting. I tried something different this year. 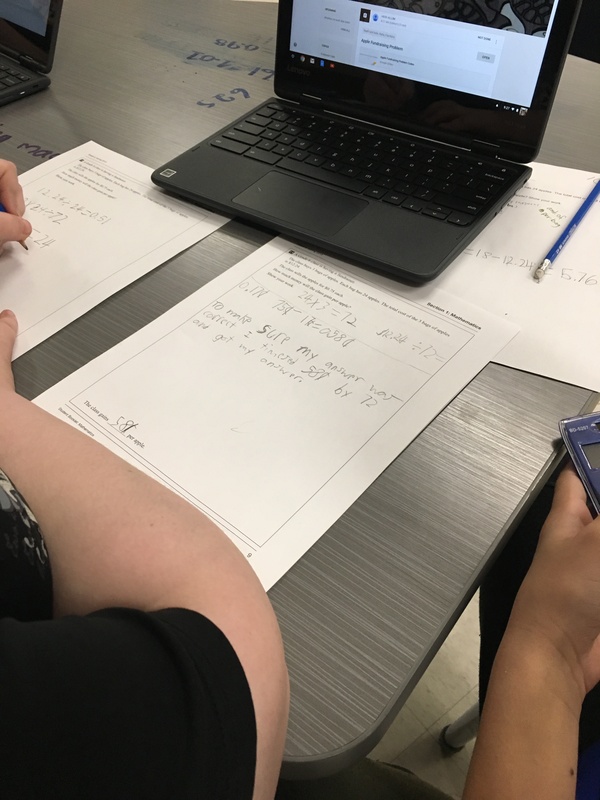 Rather than make EQAO something students would “have to do, so we had better be prepared”, I had them examine the math in an EQAO released question. I had them determine which tasks and problems in the past we had worked on and make connections. This was me trying to bridge the fault line. An example of this would be proportionality, and unit rate. I started by asking students what was the best deal in a morning activity through grocery store photos I had taken (nothing new here), and to my surprise, students self taught unit rate — through no instruction. Obviously students used other strategies (adding/multiplying the number of items until they came to the total cost, or estimating a reasonable cost of what one would be, then multiplying until they came to a close total), was one strategy, but many figured out the price of one by dividing number of items/weight and cost. I gave them time to talk and share strategies, and discover if this was always true. We played with the idea of proportion and rate, and compared it to ratio. We made connections between ratio and rate — and how results can be effected by ratio. But the nagging fault line struck me again: Would students connect this new, and, believe me, we could still go a lot deeper into proportionality, learning to an EQAO question? For a Board/Ministry Initiative I am involved in (Renewed Math Strategy), we were asked to give students a unit rate (well, a problem that can be solved through unit rate) problem, and at first my students had no idea how to go about solving it. Even though they were disappointed at first, they begged me to go over the problem. They wanted me to walk them through how it could be solved. They wanted to know. This struck me — if anything, I had created a classroom where, sure, they didn’t know what to do, but they had a desire to know. They didn’t get wallowed in defeat. They understood the yet — they weren’t sure how to go about solving it…yet. Weeks later, after some exploration into unit rate, I decided I would have them own this problem. I would let them figure it out – and on their own. They would try the problem again, and they would self evaluate. I gave them the codes; I had them lead the conversation, I had them determine and compare their previous work to their current understanding. I had them discuss and identify what math they would need to use and apply in order to be successful. I admit I did this rather randomly. My purpose was for them to own the math. I wanted to walk on that fault line. I wanted to prove to myself that them as a team experiencing and feeling and playing with proportionality would transfer to a place where they would have to explain and justify in a testing manner. Students are conferencing and working together to figure out the math they needed to use and apply. They themselves shared strategies. Before and after my students investigated and played with the bigger ideas of unit rate. 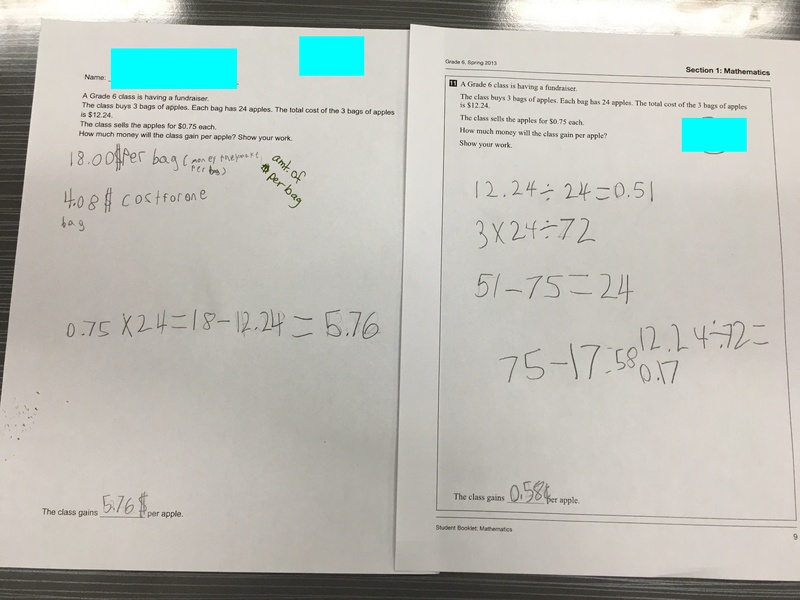 My students proved something to me — that really immersing in the content of mathematics, even though it is slow, and I feel a major pressure to go fast and cover more, is important. My fault line fear — the earthquake of pressure to make sure I cover it all, and well enough that they can do well on EQAO, is still nagging me, but I can breathe a little more knowing that I am at least giving my students positive math experiences. Math Self Talk: How can Collaborative Math Talk turn into Math Self Talk? If you are a student in my classroom, every morning when you walk in, you are greeted with math talk and thinking right away. I greet you by name at the door, ask how you are, and then you move to the whiteboards or collaborative tables. There might be images for you to notice and wonder on, there might be a problem I want you and your team to tackle. There could be math tools laying around, and tasks for you to think through and explore. I have prompts for you to start the conversation. Either way, before the bell, before O Canada, math is happening. I purposely don’t interact right away. This is my time to check in with each student, quickly do attendance, and let the math conversation flow. Let’s be honest, the first thing you and I do at a PD session is catch up — talk about what happened since the last time we talked, and the kids do it, too. And it’s ok.
Because guess what? The math comes. Just wait. Watch for it. Listen for it. It’s so nerdy to say, but it is my favourite part of the day. I come in to work to hear what they will do with what I put in front of them. I am excited to learn from them. To get a small glimpse into their beautiful brains. Once attendance is done, I sneak around to the groups who are working. I listen in to the conversations. This is when I decide if I need to intervene or not. I don’t tell them they are right or wrong. I don’t tell them how to solve, or where to take their thinking, I ask questions. My goal through math talk is this: That students become aware of what they are thinking while they are doing math. They can do math self talk. I want my students to be good self math talkers. I feel like there is still a shame when someone has to think and process math. Math is still awarded for speed and accuracy. Worse, when a math mistake does happen, many people flounder, shrug, and then give up. I at least want my students to have the perseverance to reason through their mistake. I want them to live in a world where we are patient math thinkers. This will only happen if I teach and value patient math thinking. I want them to value if they fall off of a math track, they get back on. Even better — if they encourage and assist someone who is struggling by asking them to share their thinking, and help process through it. I want to create the next generation where it is socially acceptable to ask for help with math. So, this is why I spend so much time talking math. I want math talk to be promoted, valued, and second nature. I took an EQAO MC and had students attack it without numbers first. I then added in the numbers later. Student 1: OK — well, the books are in a box, in a container — so the amount of books is going to get higher. We are going to have to multiply at some time. Student 2: I see that — but we need to find the cost of one book. We are given the total cost. What would be reasonable here? Student 1: Books are kinda expensive — I think around 10 bucks? Should we play around with that? Student 2: Hmmm…the total cost is $2592; I think a lot lower? Maybe books are cheaper in huge quantities like that? Student 1: Could we try a cost then keep multiplying up? There are 12 in box — what if we started to 12? Would that get us the cost of a box? Wow. So much going on here. Student 1 and 2 are working off of each other’s ideas, questioning, and giving context to the problem, and playing with the idea of reasonableness. You see, here is where I am at. My students are getting pretty good at talking through their math with each other. I hear them correcting their thinking, changing their minds and their trajectories, without blame or negativity. The more they do this, I assumed, the more it would become an innate independent practice. I assumed that since they were doing it with each other, they would be doing it in their own minds when given an independent task. But it doesn’t seem so. So, yes — I want math to be a social and collaborative language that everyone is fluent in. It seems like we are heading that way. But now my goal is shifting. I want that math talk to turn into self talk that happens as students are working through the math task. I want them to imagine all of the questions and visuals and ideas in their minds as they solve math. How will the math talk you just particpated in help when you are thinking on your own? What math words/visuals/strategies were easy to hold in your head? How was working through this problem going to help you through future problems? What did someone else say that stuck with you, made sense to you, or you want to try? The fluidity of self and peer talk is so important — it’s where thinking becomes learning, and learning turns into new thinking. I have a dirty little secret: As a kid, until I became a teacher, really, I did not like math. Nor was I particularly good at it. I oscillated between Cs and Ds pretty much my entire school career. However, when that dusty math textbook was opened, I found solace in those wordy math problems. You know, those ones about trains and speeds and stations and so and so buying 50 apples and comparing them to someone else who bought 30 apples. They made no real logical sense (I mean, really? Why are we buying so many apples? ), but, I relished in the language of them because I could do that: I could read and understand the senseless problem. Although I was always happy when one of these text book math stories came into view, I realize now, that, even though they were soothing — the pacifism of safe problems — it did nothing to increase or challenge my notions of math. Nor did they help me retain any of my math knowledge. I plugged in some math calculation, and crossed my fingers I was right. Then I never thought of it again. Book closed. Bell rang. On to something else. I am not the only one with this experience, and interestingly, I find that as a teacher, we weigh so much on the problems we choose to give students. Can all students access it? Can it be solved in different ways across different strands? Will it make students think? Is it a higher order problem requiring students to apply their math understanding, not just regurgitate it? If you are like me, you are always on the hunt for interesting and engaging math problems. There is a pressure to make sure your tasks are open, and are accessible to all students. There is a pressure to make sure that your problems push student thinking. So, then you start to tweak the task, or, continue hunting, so that your students can use tools to represent and communicate their thinking. After this, you go through the motions of a three part math lesson. You do the problem, students seem engaged, and you consolidate. You might have them Gallery Walk, walk through their thinking, and pull out highlights. I find teachers can get ‘caught’ in this cycle. And, don’t get me wrong, for the most part, this is not a bad cycle to be in. Kids play with math within the problems, they are exposed to using math manipulatives, and highlighting their thinking. But I have come to realize a few things: The problem is important, yes, but it’s not all that math class is and can be. Like those wordy senseless problems I’m sure we’ve all tackled, they may have soothed us; directed us to insert correct numbers at correct times, but did they challenge math stereotypes? So, yes — Keep finding and using those awesome math problems, but, consider the other portions of math class that complete the image of what math is — a beautiful language that many do not get to experience. Sure, we do the think-pair-share thing, but it’s actually a process to really talk math; to get your students truly invested in sharing their conjectures, arguing differences, and seeing math presented to them in a different way — and not from teachers, but from other students. In order to talk confidently about math, we have to make mistakes in math, and know where we made the mistake, and how to talk to it. It also helps if we can illustrate and/or represent our thinking in a clear way. The visual will help other students see the process the student was mathematically engaged in, and be able to compare, and talk to it. These students are fully engaged in talking about math. Wondering: Do we value math conversation? That’s right, noticing and wondering in our everyday lives begins to open the doors for students to make connections in math. It helps them see how we can dissect, appreciate, and understand math and how it interacts with the world. Find art, images, go for walks — and talk about the math. Let students tell you what they see, and honour their thinking. Student thinking around a racing image. Students began to wonder about decimals and placement of the runners. Wondering: Do we value how students perceive how math moves in their world? Math games are great; so are logic puzzles. But, to me, it can also mean just messing around with a concept, an idea, a mathematical wondering. One of those open problems might ignite that math play. “Just try it!” “How would you test or explore that?”. This is where mathematical tools might get used, where students might want to use various technologies to support their investigations. Tiling turtles at the math play table invite students to create and admire their tessellations. A more guided approach, on the right, has students use specific pattern blocks to make relationships between their creations, and mathematical content being studied. Wondering: Do we value the learning from playing with math, even in unstructured settings? So do the math. Let it be an action rather than a statement. How can we get students to be in the math, rather than looking at it through window-like glass, from the outside? How can we encourage them to dive in, and tell them it’s ok if they need to come up for air? Do we value the verbs in the Math Curriculum? Investigate, explore, student created algorithms? What does this look like in a classroom? So, please — keep finding those open problems, and keep having your students solve problems. But the math may not come alive for all through a problem. For some, the problem may be too safe; a series of steps to complete. So let students experience math in different ways: Exploring images, talking about how one mathematical idea led to another, or how they researched a mathematician. Let math spill into the crevasses of your classroom. Let students see how math inhabits the corners, leak into their thoughts, and be a part of their understandings.